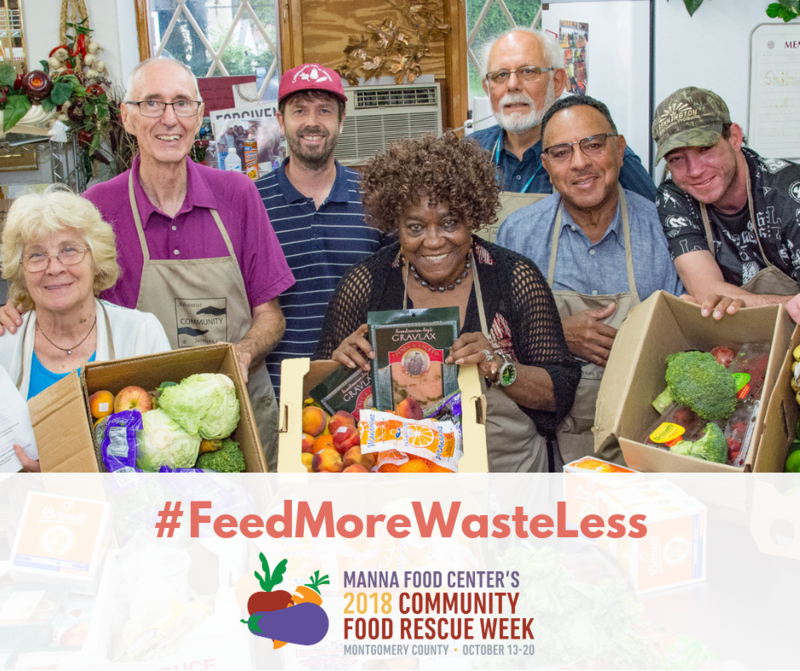 Join Manna Food Center’s Community Food Rescue network for the first-ever Montgomery County Community Food Rescue Week, October 13-20. 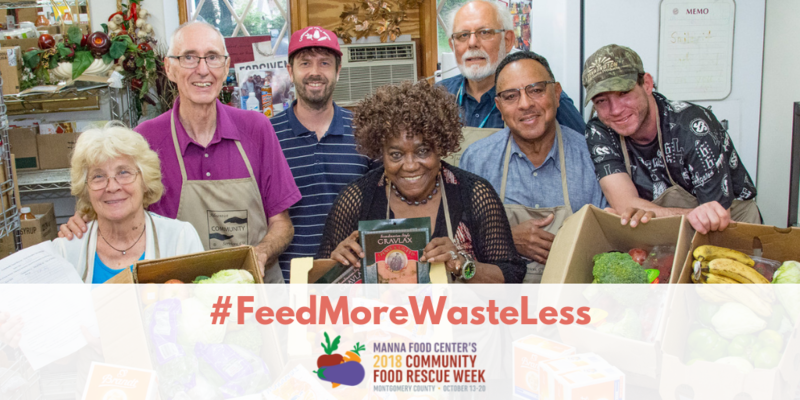 Fun and informational events throughout the week will educate the public about what we can all do to tackle food waste and hunger in the county. 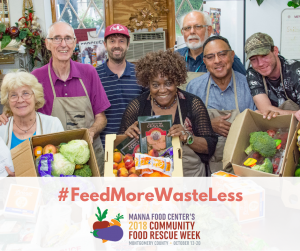 Celebrate Community Food Rescue Week. Learn about composting, volunteer to glean apples or cook with rescued food, come to a trivia night or happy hour. Check out the full list of events at mocofoodrescueweek.org or register on Eventbrite here. Be sure to mark your calendar for October 20, when teams of professional and amateur chefs face off in the No Waste, Big Taste Cooking Competition at the FRESHFARM Downtown Silver Spring Market. Teams will create a two-course meal from mystery recovered food items, which will be judged by a panel of local celebrities and members of the Community Food Rescue network. Volunteer! We welcome your help in making this week a success. A full list of volunteer opportunities is available here. Let us know if you can help! Share this blog post with your networks. Promote Community Food Rescue Week by sharing this graphic on Facebook. Join the Community Food Rescue network! Sign up to donate food (food businesses), deliver food (volunteer food runners) or feed neighbors in need (service organizations). Join us in thanking businesses and organizations that are already part of our network! Community Food Rescue Week is an opportunity to celebrate the power of community in eliminating hunger in Montgomery County. We look forward to engaging with our community to bring an end to hunger and food waste, during this week and beyond. If you live or work in Washington, be sure to check out D.C. Food Recovery Week! Find out more about events here.